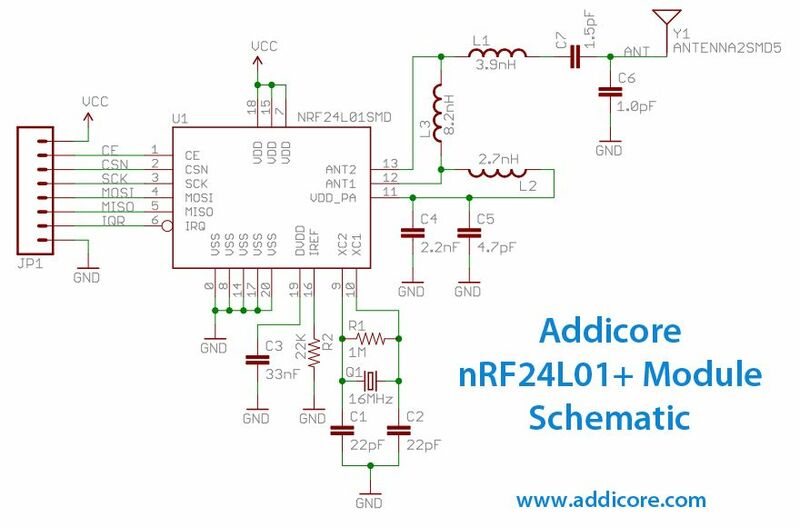 This is the same nRF24L01+ module that we offer in our RobotDyn 2pcs nRF24L01+ and in our nRF24L01+ Wireless AddiKit. 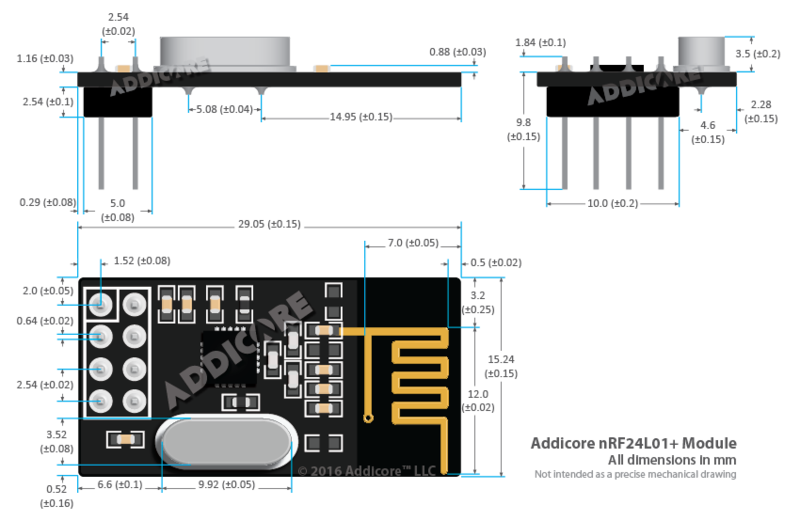 This module is Arduino and Raspberry Pi compatible and there are several tutorials available online, such as tutorials, data sheets, and notes. We have provided some resources below. Project examples using this module: wireless peripherals, remote control systems such as RC vehicles and consumer remote electronics, wireless voice transmission such as VoIP, wireless sensor networks, wireless networks, home and commercial automation. Communication range up to 262 feet (80 meters) in ideal conditions. Ultra low power consumption as low as 11.3mA transmitting, 13.5mA receiving at 2Mbps, 900nA in power down, and 26uA in standby. Once connected to my micro the sample code made for easy bring up.